These much-quoted verses from the book of Ecclesiastes speak so simply and eloquently about the transient nature of our human life here on earth, with its ups and downs and its comings and goings. For me, festival week in Edington is almost like a spiritual and musical retreat, so much so that I could perhaps add my own verses to those above: ‘a time to sing, and a time to listen; a time to perform, and a time to pause’. What a great privilege it is therefore that we are able to gather here once again for another week-long feast of worship and music. The opportunity for us visitors to become part of the community here for a week each summer is something that is certainly not taken for granted. With that in mind I would like on behalf of the festival to extend my gratitude to The Reverend Mark Jones, newly-installed Vicar of Edington, for making us so welcome in his church and benefice. We wish Mark, his wife Kathy and daughter Sophie every happiness as they settle into their new home and surroundings. The Edington Festival offers us all the opportunity to take time out from our busy lives with their constraints, commitments and routines. Liturgically, it also allows us the space to offer worship that is separate from the normal pattern of the Church year. 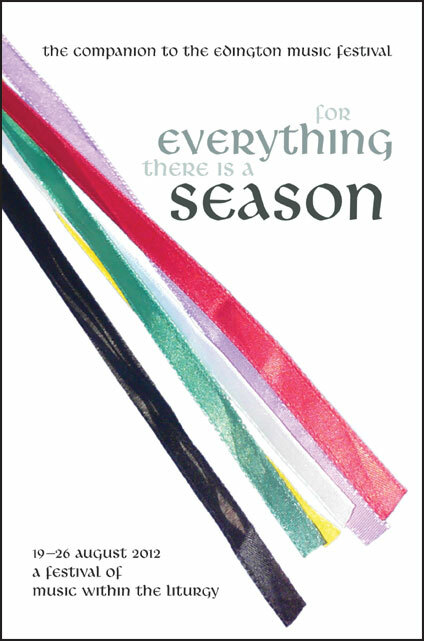 So it is that the theme of this year’s festival—‘For everything there is a season’—is a celebration of the Christian year spread not over twelve months but over seven days. It may feel a little bit bizarre marking in such quick succession festivals of the Church year that are distinct and that are more normally disassociated from one another. This, however, is exactly the point: that none of the great festivals could take place, or indeed make sense, without the others, because each of them represents a different chapter in the life of Christ, true God and true man, who ‘became flesh and dwelt among us’. Without preparation and anticipation there would be no birth; without birth, no life; with no nativity, there would have been no crucifixion; and crucially, with no crucifixion, no resurrection. In words and music, we will explore these different ‘seasons’, and in doing so hope to draw closer to our risen, ascended and glorified Lord. The week begins with the watching and waiting of the Advent season—‘Keep awake’. Hassler’s Missa Dixit Maria reminds us of Mary’s great part in the Incarnation: ‘Here I am, the servant of the Lord; let it be with me according to your word’ Luke 1: 38. The great Advent motet Vox dicentis: Clama by Edward Naylor refers to John the Baptist as the one crying in the wilderness: ‘prepare the way of the Lord’. On Tuesday we celebrate Emmanuel—‘God with us’. Music by Palestrina, Sheppard and Mendelssohn explores Nativity and Epiphany themes, and at Evensong the Consort performs the Magnificat Quinti toni by Hieronymous Praetorius, heard as it was originally intended, interspersed with two German carols. We are pleased that once again the BBC is broadcasting Choral Evensong live from the festival on Wednesday 22 August when our Lenten theme, ‘Take up your Cross’, will look at Christ’s very human hardship and temptation in the wilderness, and its parallels with the trials and tests of our own daily Christian pilgrimage. Through the generosity of a sponsor, we have been able to commission an introit from young composer and former choral scholar of King’s College, Cambridge, Ed Rex, which sets words from a medieval prayer found beneath a crucifix in St Alban’s Abbey. The Nunc dimittis will be sung by the Consort and Nave Choirs together to a setting composed by Matthew Martin for the BBC Singers. Thursday’s Passiontide observance, ‘Behold the Lamb of God’, culminates in a Sequence of Music and Readings based on the Liturgy of the Stations of the Cross. With each ‘station’ being represented by a reading, hymn, chant or motet, the Consort will perform Poulenc’s Quatre Motets pour un temps de pénitence and Allegri’s setting of Psalm 51, Miserere mei, Deus. It seems particularly appropriate therefore that Bishop Michael is able to address us as we come to the end of a week focusing on exactly this, a celebration of the Christian year, and we thank him for giving up the time to be with us. The music at the final Evensong of the festival celebrates the theme of the Ascension, including the anthem Viri Galilaei by Patrick Gowers, sung by two choirs and accompanied by organ and synthesizer. The Magnificat is sung to a setting composed by Giles Swayne in 1982 for the choir of Christ Church, Oxford. Using rhythms and melodic material influenced by music from Senegal and the Gambia, it looks ahead to our theme for the final day of the festival, ‘Come, Holy Ghost’. Its busy chattering texture is perhaps a musical depiction of the description in Acts 2: 4 of the day of Pentecost when the disciples were ‘filled with the Holy Spirit and began to speak in different languages as the Spirit gave them ability’. At the closing Eucharist of the festival week, along with repertoire more commonly associated with the Feast of Pentecost, we hear The Mystery of Christ, a winning entry in the 2011 King James Bible Composition Competition, composed by Chris Totney, one of our festival organists and a member of the Schola Cantorum. The offertory motet by Lassus, Omnia tempus habent, sets the text from Ecclesiastes upon which the festival’s theme is based. My thanks go to those many musicians who have given of their time to take part in the 2012 festival, and to those who are leading them, namely Jeremy Summerly (Director of the Consort), Matthew Martin (Director of the Nave Choir) and Ben Nicholas (Director of the Schola Cantorum). Being a festival of music within the liturgy, the role played by the clergy who lead our worship is every bit as important as that played by the musicians, and I thank all the clergy team, both local and visiting, for their hard work during the week. 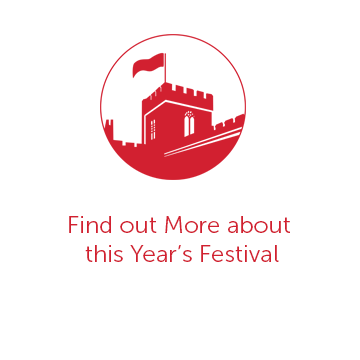 In particular, I know that all the festival participants will wish to join me in extending their thanks and congratulations to The Reverend Canon Paul Rose, participating in his fiftieth festival this year. Paul has touched many lives during his long and dedicated service to Edington: most of us have not known the festival without him, and cannot imagine it so! 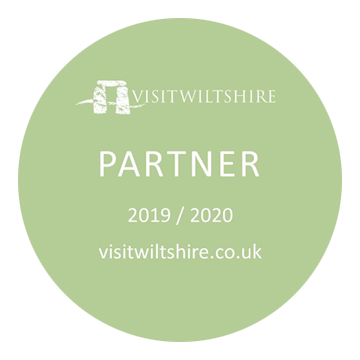 It almost goes without saying that the festival would cease to function without the huge support network that exists amongst the people of Edington and the surrounding villages. On behalf of the festival participants, I thank them all most sincerely, and in particular the Church Wardens Clare Norfolk-Brown and Nicholas Buckman, Verger Peter Norfolk-Brown and Assistant Verger Julia Taylor, Accommodation Co-ordinator Christine Laslett, Treasurer Allan Edwards, Information Secretary John d’Arcy, and Sheila Miles and Chloë Watts who both work so hard to look after the choirs’ robes. On the festival side, we say a huge thank you and bid farewell to Adrian Hutton who has served the festival for many years not only as a stalwart of the Nave Choir but also as the co-ordinator of the robes for the many festival participants. My thanks also to John Barnard, Hugo Janacek, James Butler, Nick Flower, Emily Roberts and Eleanor Lane, and most especially to Festival Adminstrator Peter Roberts. The verses from Ecclesiastes about the seasons with which I began perhaps serve as a reminder that, although participants and visitors come and go from the festival each year, Edington Priory Church stands firm as a constant witness to the timeless and unfailing love of God. With this in mind, I am thrilled that, having launched an appeal for a new organ in the church a year ago, we have at the time of writing received funds in excess of £350,000. This has enabled a contract to be signed with organ builders Harrison and Harrison in the hope that the new instrument can be installed in time for the 2014 festival. Our prayer is that the new organ can serve generations of future worshippers in the Priory Church and provide beautiful music week by week and year by year to the glory of God. We still need your help to make this possible, so please consider donating to the appeal—or donating again! I hope you enjoy the 2012 Edington Music Festival.